XUV500 (pronounced 5-oh-oh) is one of the most spacious vehicle in Zoomcar fleet in terms of cabin volume (other being Tata Safari). XUV500 is the preferred choice of our members when they wish to go on long trips with family or friends. It seats 8 passengers comfortably, has great styling, good amount of features and pretty good engine power. 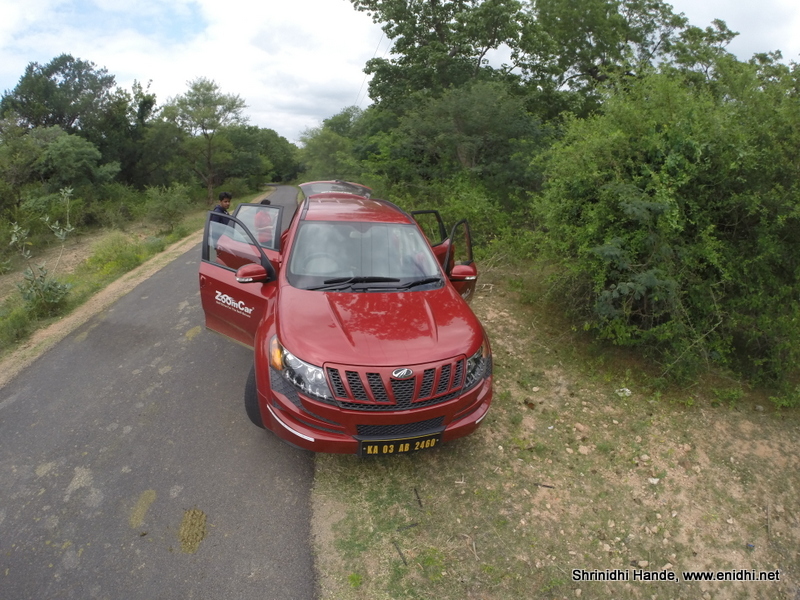 In this post, second in Know your zoomcar series, let us read about Zoomcars XUV500 in little more detail. 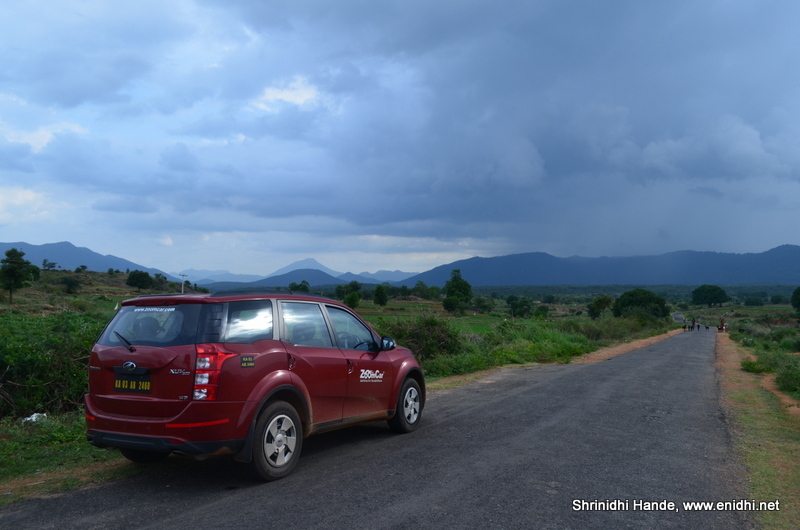 When Mahindra launched XUV500 back in 2011 it was an instant hit. Its cheetah inspired styling was eye catching. Every part was new. Door handles, AC vents, tail lamp, hand brakes  every piece has freshness, making XUV500 very unique and different among competition (it is common for carmakers to pick up some parts from another models parts bin to save cost, but that is not the case with XUV500). XUV500 got sold like hot cake and Mahindra exhausted two years worth of production capacity within few months. Booking had to be stopped for months. Later in early 2012 booking re-opened but with a lottery system that would decide who would get to own the limited number of cars. The very successful launch of XUV500 was not without a negative side. Many of the early customers complained of sustained mechanical deficiencies, such as weak brakes, vehicle drifting to a side and many other such small but annoying behaviours. Probably the first batch of XUVs were not adequately tested and first lot of customers paid between 12-18 lakhs to work as free testers to give feedback on unfixed problems. (These problems were not officially accepted and there wasnt any recall, but check automobile forums where early owners of XUV500 have vented their frustrations). XUV500s manufactured post March 2013 are believed to have better fundamentals, with most of the issues reported by early customers addressed. 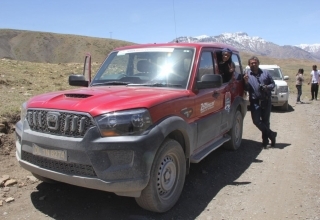 Nonetheless, Mahindra achieved success with XUV500, what Tatas failed with Aria. Zoom car has W6 variant of XUV500, which is only a level below top spec W8. Compared to competition, XUV500 has several unique features which make lots of differences to the safety and comfort of occupants. First and foremost are its corner lights (angled headlights, officially known as Bending headlamps)- these lamps switch on automatically while turning in the night, thus illuminating the corner. A very useful feature for safe night driving. 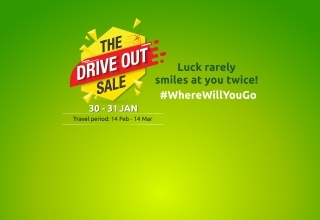 Today this feature is offered in many other cars including new Scorpio, i20 active etc. Second key feature is the lamp below turn indicator- these can illuminate the ground so that while you get on or off the car in the night, you wont accidentally step on a thorn or cow dung or anything else undesirable. In most of the SUVs, last row passengers are often ignored as they get minimal facilities. In XUV500, therere charging points, head rests, lights and AC vents for each row, so none of the passengers feel unattended. Conversation mirror helps quickly check if everyone is on board. Lumbar support and cruise control add to convenience. Micro hybrid technology helps save fuel on the 140 BHP engine mated to 6 gear manual transmission. Compared to other SUVs, XUV500 is smoother to drive. Lots of storage areas and ambience lighting make life easy. 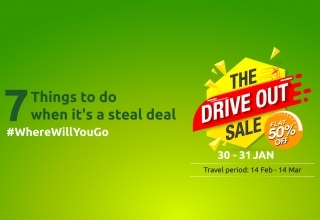 One thing to keep in mind while planning a trip with XUV500 is the luggage space. If therere 8 pax an all of them have big bags, then space will be a constraint to store all bags. Trip meter is on the right side of instrument cluster (a bit hard to find). Not having a proper sky rack and foot holder means your body guards cant hang on to the car standing on the foot holder and holding the sky rack. 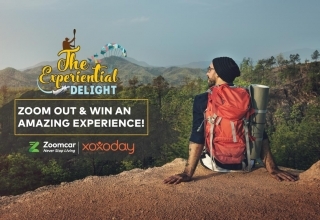 Zoomcar XUV500 rentals start Rs 140/hour week days, Rs. 4200 a day on a weekend. While we have hundreds of XUV500 in our fleet and adding more as we can, they get booked much faster on weekends compared to other SUVs, so you better hurry. 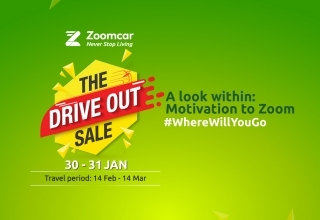 Watch this short video on Zoomcars XUV500.